Dr. Marc Brown (DWS, IWS), holds degrees in music and ministry. After ministering in the Washington DC suburbs of Northern Virginia for the last thirteen years, he has recently transitioned back to his “Old Kentucky Home,” serving as the Minister of Worship and the Arts at First Baptist Church of Mt. Washington. 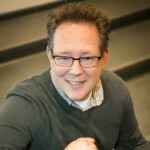 Through his work pastoring, planning and leading worship, and writing, Marc seeks to help others recognize and respond to the cycles of holy dialogue that exist in corporate worship as they reveal themselves through means of heart, soul, mind and strength. During our 2016 gathering, Marc will share how he has brought Ancient-Future worship paradigms to both contemporary and traditionally-styled services in the Southern Baptist churches he has served.